October 5, 2018 October 4, 2018 Linda Reimer Corning, Corning NY, Local History, New York State History, Public Library, Southeast Steuben County Library, Southern Tier. 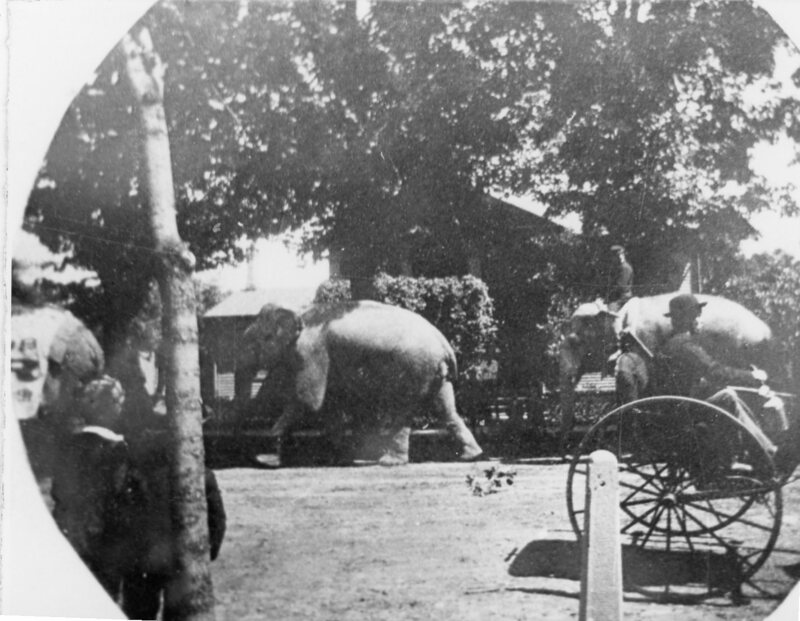 Our first photo for this week is of elephants that were possibly in the area as part of a circus. Which circus they belonged to and when exactly the photo was taken remain a mystery. Although, we can speculate that the photo was taken in the late nineteenth or early twentieth century by the clothing worn by the man driving the horse drawn cart and seen at the right side of the photo. Our second photo for this week is another photo from our collection that appears to have been taken of another photo. 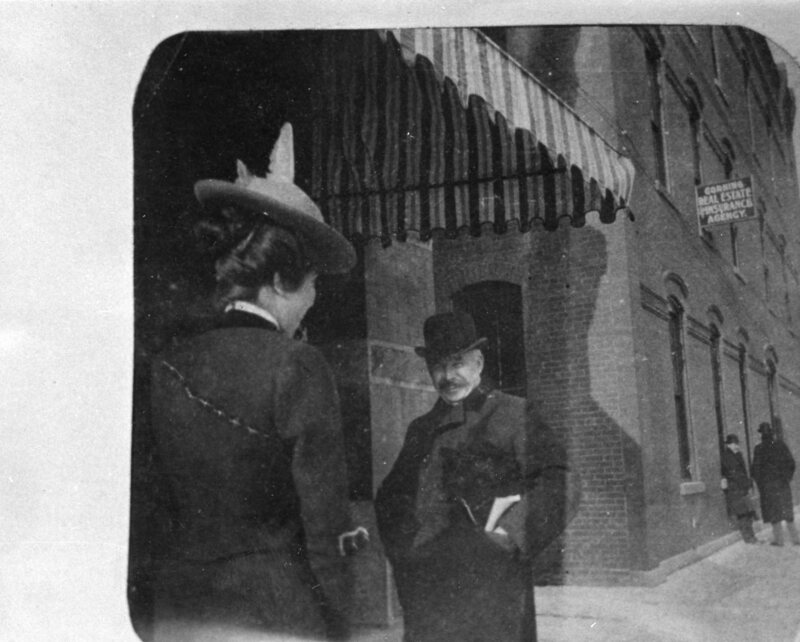 Since we can’t see the woman’s face, we don’t know if she is smiling or not, however, the man in the bowler hat certainly seems to be amused. And the Corning Real Estate Insurance Agency sign is a sure fire clue that the photo was taken in Corning.